BLOGEffects of Grexit (Greece Exit) on Indian Markets!!! a) India- A destination for FIIs?? Indian Economy is growing at a pace of 7.3% with the GDP at 2.3 trillion. Indian financial markets are primarily governed by Bombay Stock Exchange and National Stock Exchange. Foreign Institutional Investors (FIIs) have invested 43.5 billion dollars in the year 2014-2015. Greece elected the new party “Syriza” which is leftist and combines groups such as Marxist-Leninist, Maoist, Eurocommunist, Social Democratic, Eurosceptic and many more. The party was elected early this year mainly due to its “Anti-Austerity” propaganda, creating 3, 00,000 new jobs, minimum wages increased from 580 to 781 euros, 300KW of free electricity, scrapping of tax on heating fuel, free medical care and Christian Bonus Funds. Greece has been following austerity measures since IMF, EU and others Euro banks have provided bailout. Austerity measures have caused cutting down of pensions, electricity supply, medical and health care fueled up with rising unemployment. Greece has to tend to the major issue of re-payment of the first installment of its bailout money provided by IMF which is 1.5 billion euros (By June end) and 3 billion euros to European Central Bank. c) Why is there a stand-off between Greece and European Union? European lenders require Greece to continue “austere” measures, VAT at 23% standard and 11% for food, medicine and hotels, GDP surplus at 1% of GDP in the year 2015, tightening early retirement rules since many Greeks are opting for early retirement. On 24th June, the lenders have rejected the proposal put forth by the Athenian government. Prime-Minister Alexis Tsipras commented “The strange attitude of the lenders suggest two possible things either they don’t want an agreement or they are serving specific interests in Greece”. 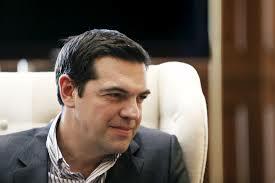 There is a small possibility that Greece may opt out of Eurozone due to default on the bailout. This may cause ripple effects also causing a recession in many countries. Recession caused by opting out of Eurozone would decrease the value of euro against dollar. Once the euro currency falls, investors would pull out money from the emerging markets to compensate for their losses. Eurozone is an entangled group of rich and mediocre countries. Countries with high debt and low GDP such as Italy, Spain, and Portugal would also part their ways from the Eurozone. This would deepen the turmoil and would woo FIIs investing freely, as they have done in the past years. FII trigger the Indian markets to some extent. It would require Indian government and RBI to keep a conducive market environment. Russia has deep roots (Communist Ideologies!!) with the Greek government and therefore have proposed Greece to join BRICS or the New Development Bank which comprises of Brazil, Russia, India, China and South Africa. China is also accepting the proposal since it has also lend money to Greece. 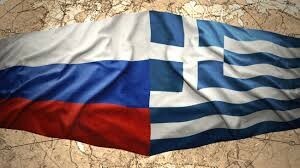 Is this a start of a new relation between Greece and Russia or another way of starting a face-off between Germany and Russia?? 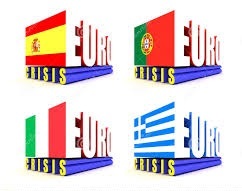 Greece exit would cause some domino effect in every country but it needs to be seen how Germany and other countries handle this grave situation or a dead-lock. The Indian economy sustained the pressure of the Financial Crisis of 2008 and many analysts feel India would survive the effects of any outcome that arises from the whole Greece saga.